An internationally recognized Aesthetic and Anti-Aging Treatment and Training Center focused on promoting, advancing and standardizing the field of Aesthetic Medicine. Known for treating many of Washington DC's political elite, Dr. Dima’s patients praise her for her compassion, professionalism and artistic ability in restoring youthful beauty. Medical Spa in Reston Rated Virginia's Top Aesthetic and Anti-Aging Medicine and Wellness Center. Give the gift of healthy, beautiful skin with a gift card! "Best Aesthetic Doctor Ever! Even better than the ones in California where I live! Dr. Dima is truly an artist with a sincere and generous heart." 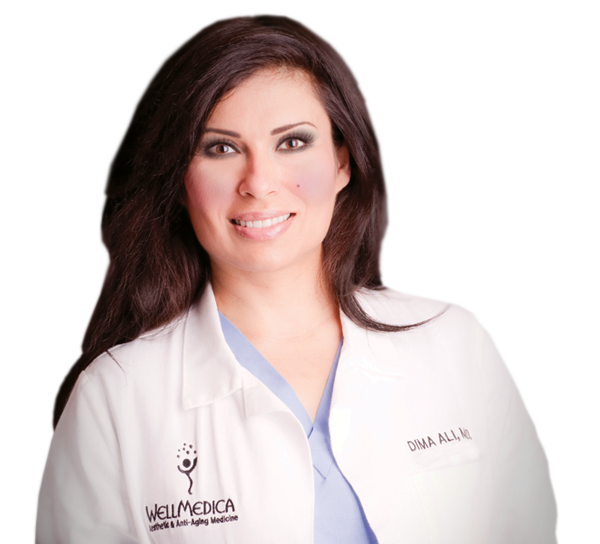 Welcome to Wellmedica Aesthetic & Anti-Aging Medical Spa located in Reston, VA.
Dr. Dima is internationally renowned in the Aesthetic & Anti-Aging field, with 25 years of experience, Award Winning, and Board certified. We understand the importance of restoring youthful beauty with natural looking results. Our patients come from the surrounding Northern Virginia area such as Fairfax, Tyson’s Corner, and DC. Our clean and professional medical spa is warm and inviting, making our patients feel right at home. Bring 5 of your friends and get special discounted pricing. Botox administered by our doctor at a discounted price. A complimentary VISIA Digital Skin Analysis report for each person. Facials between 10-15 minutes conducted by our aesthetician that include a cleanse, exfoliation, and moisturize. A talk from Dr. Dima that includes her medical expertise on anti-aging, skincare, and any other medical advice you are interested in.